Sunglass Hut has its Sunglass Hut collection Polarized Sunglass on sale for $83.30. Save $40 off a second pair (any style) with code "40OFF2". Shipping is free. 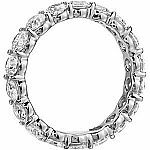 Macys has select jewelry on sale up to 85% off. Extra 20% off on select items with code "SAVE" Shipping is free with $75 purchase or free in-store pickup. Bloomingdales has 16-Hour bQuick Sale: 65% Off Select Diamond Jewelry. Shipping is free for Loyallist or on $150+. OMG, how can a watch look so ugly?! because it's smart //@Anonymous: OMG, how can a watch look so ugly?! No Models available in any size or color. Does not seem to be working. That’s what she said about u //@anonymous: OMG, how can a watch look so ugly?! Swarovski has 20% Off $175, 25% Off $300, 35% Off $600. Discount applied in cart, excludes outlet. Shipping is free with $75. 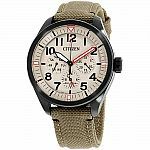 Amazon.com has Up to 60% Off Select Men's Citizen Watches. Shipping is free. 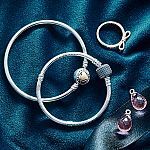 Bloomingdales / Pandora has buy more save more on pandora jewelries . Shipping is free with Loyallist (free join), or free shipping with $150 purchase. 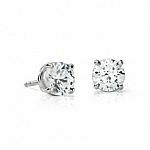 Zales has Diamond Accent Stud Earrings in Sterling Silver for $25 w/ Code "ZAFFDIASTUD". Free ship to store. BeFrugal.com has extra 7% cash back. You will get additional 10 cash back if you use my refer: befrugal.com/rs/VYAIPVF/. 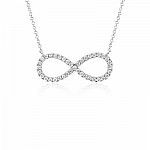 Zales has Script Name Necklace in Sterling Silver (1 line, 12 characters) for $17.99 w/ Code "ZAFFSSNN". Shipping is $7. OK - I bought a necklace that says 'Jessica' because it was on sale, now what do I do with it? Change your name to Jessica //@Anonymous: OK - I bought a necklace that says 'Jessica' because it was on sale, now what do I do with it? Or give it to a girl named Jessica as a gift //@Anonymous: Change your name to Jessica //@Anonymous: OK - I bought a necklace that says 'Jessica' because it was on sale, now what do I do with it? Macys has select Fossil watchers on sale. Shipping is free on orders $48+ or free in-store pickup. 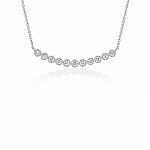 Swarovski has 15% Off sitewide for Women's Day, including new arrivals. Shipping is free on $75+. Sale ends 3/9/19. 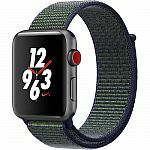 Amazon has Apple Watch Series 3 (GPS) 38mm for $219.99. Shipping is free. Is that even a deal??? Yes! :D //@anonymous: Is that even a deal??? Bloomingdales has 16-Hour bQuick Sale: 60-75% Off Select Fine Jewelry. Shipping is free for Loyallist or on orders $150+. 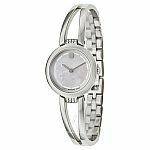 Amazon has Anne Klein Women's AK/3288GBST Swarovski Crystal Accented Gold-Tone Watch and Bangle Set for $49.99. Shipping is free. 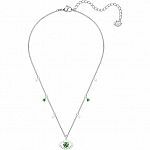 Nordstrom Rack has Tahitian & Akoya Jewelry on sale up to 80% off. Shipping is free with $100 purchase. Appears to be cheaper ($145 instead of $199) at Amazon for what appears to be the same thing. is it really the same thing? //@Anonymous: Appears to be cheaper ($145 instead of $199) at Amazon for what appears to be the same thing. The original price is a joke. Wow. THAT is a good deal! Thank you Costco! totally agree! //@Anonymous: She is a scoundrel like the rest of the people in that company. //@anonymous: Hoo wee ii CEO daughter extradited to US from Canada... On spying charges //@anonymous: Be civil! Only state this facts. Otherwise, it is just waste everyone’s time //@anonymous: Do not trust any Huaiwai products, even the watch! //@anonymous: A “real” watch means a hua-wei watch that will monitor everything you do and report it back to emperor x.i? No thank you! //@anonymous: cheap toy. get a real watch. Totally agree //@anonymous: cheap toy. get a real watch. cheap toy. get a real watch. A “real” watch means a hua-wei watch that will monitor everything you do and report it back to emperor x.i? No thank you! //@anonymous: cheap toy. get a real watch. Do not trust any Huaiwai products, even the watch! //@anonymous: A “real” watch means a hua-wei watch that will monitor everything you do and report it back to emperor x.i? No thank you! //@anonymous: cheap toy. get a real watch. Be civil! Only state this facts. Otherwise, it is just waste everyone’s time //@anonymous: Do not trust any Huaiwai products, even the watch! //@anonymous: A “real” watch means a hua-wei watch that will monitor everything you do and report it back to emperor x.i? No thank you! //@anonymous: cheap toy. get a real watch. Hoo wee ii CEO daughter extradited to US from Canada... On spying charges //@anonymous: Be civil! Only state this facts. Otherwise, it is just waste everyone’s time //@anonymous: Do not trust any Huaiwai products, even the watch! //@anonymous: A “real” watch means a hua-wei watch that will monitor everything you do and report it back to emperor x.i? No thank you! //@anonymous: cheap toy. get a real watch. She is a scoundrel like the rest of the people in that company. //@anonymous: Hoo wee ii CEO daughter extradited to US from Canada... On spying charges //@anonymous: Be civil! Only state this facts. Otherwise, it is just waste everyone’s time //@anonymous: Do not trust any Huaiwai products, even the watch! //@anonymous: A “real” watch means a hua-wei watch that will monitor everything you do and report it back to emperor x.i? No thank you! //@anonymous: cheap toy. get a real watch. Lock her up! //@anonymous: She is a scoundrel like the rest of the people in that company. //@anonymous: Hoo wee ii CEO daughter extradited to US from Canada... On spying charges //@anonymous: Be civil! Only state this facts. Otherwise, it is just waste everyone’s time //@anonymous: Do not trust any Huaiwai products, even the watch! //@anonymous: A “real” watch means a hua-wei watch that will monitor everything you do and report it back to emperor x.i? No thank you! //@anonymous: cheap toy. get a real watch. It’s really annoying to see lot of unwanted crap in the comments section lately. Be matured and stop trolling. It is becoming really hard to find useful information among this useless shirt. I hope dealsea does something about it. people have the right to know that n.s..a is sp.ying on people. //@anonymous: It’s really annoying to see lot of unwanted crap in the comments section lately. Be matured and stop trolling. It is becoming really hard to find useful information among this useless shirt. I hope dealsea does something about it. This is women's watch not men. Samsung's has much better men's style. //@Anonymous: Totally agree //@anonymous: cheap toy. get a real watch. It’s funny how hard you try to cover up the Chi.nese govt-sponsored sp.ying by hua-wei, Lenovo and ZTE by pretending that Apple has a problem. //@anonymous: people have the right to know that n.s..a is sp.ying on people. //@anonymous: It’s really annoying to see lot of unwanted crap in the comments section lately. Be matured and stop trolling. It is becoming really hard to find useful information among this useless shirt. I hope dealsea does something about it. Some people trying very hard to cover n.s..a sp.y acrivity. //@anonymous: It’s funny how hard you try to cover up the Chi.nese govt-sponsored sp.ying by hua-wei, Lenovo and ZTE by pretending that Apple has a problem. //@anonymous: people have the right to know that n.s..a is sp.ying on people. //@anonymous: It’s really annoying to see lot of unwanted crap in the comments section lately. Be matured and stop trolling. It is becoming really hard to find useful information among this useless shirt. I hope dealsea does something about it. Haha this is true //@anonymous: It’s funny how hard you try to cover up the Chi.nese govt-sponsored sp.ying by hua-wei, Lenovo and ZTE by pretending that Apple has a problem. //@anonymous: people have the right to know that n.s..a is sp.ying on people. //@anonymous: It’s really annoying to see lot of unwanted crap in the comments section lately. Be matured and stop trolling. It is becoming really hard to find useful information among this useless shirt. I hope dealsea does something about it. Swarovski has 20% Off with $175 Purchase. Shipping is free with $75 purchase. 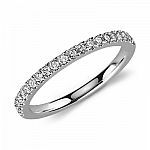 Macys has Extra 70% Off on Fine Jewelries with code "SHINE". Shipping is free with $99 purchase. Amazon has Anne Klein Women's AK/3288GBST Swarovski Crystal Accented Gold-Tone Watch and Bangle Set for $45. Shipping is free. 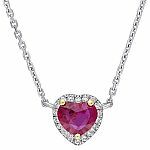 Sams Club has 0.44 CT. Ruby with Diamond-Accent Halo Heart Necklace in 14K White Gold for $299. Shipping is free. 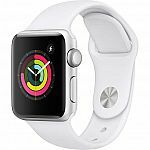 Amazon has Apple Watch Series 3 (GPS, 42mm) - Silver for $229. Shipping is free. With a watch on your wrist, you'll be monitored 24-hrs a day. Sounds like you're talking about the Hua-wei watch, buddy. //@Anonymous: With a watch on your wrist, you'll be monitored 24-hrs a day. Technically... you would be monitored during the time you have the watch on XD //@Anonymous: Sounds like you're talking about the Hua-wei watch, buddy. //@Anonymous: With a watch on your wrist, you'll be monitored 24-hrs a day. Hua wei is bad. I would never get any hua wei products. //@anonymous: Sounds like you're talking about the Hua-wei watch, buddy. //@Anonymous: With a watch on your wrist, you'll be monitored 24-hrs a day. Of course we need to be careful, Snowden said they use huaiwei watch to surveil us all the time. Like big brother cares about you, you are not special //@Anonymous: With a watch on your wrist, you'll be monitored 24-hrs a day. 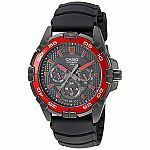 Amazon has Men's & Women's Watches Sale up to 72% off. Shipping is free. Urban Outfitters has Timex Welton Snoopy Watch for $89.99. Shipping is free. Great deal! All in! M*A*G*A! Make Apple Great Again?? //@Anonymous: Great deal! All in! M*A*G*A! It’s actualy good enough for daily usage. The watch 4 is faster, with larger screen when you compares but when actually in daily use, not much you would notice. I love my 3 but I'm thinking about getting a 4 now. This is a pretty good price for 3's though, I think. Get Galaxy Watch much better. Yup. Good price for a three. //@anonymous: I love my 3 but I'm thinking about getting a 4 now. This is a pretty good price for 3's though, I think. I will buy if they are at $199 and $229 (BF prices). Amazon has Apple Watch Series 4 on Sale. Shipping is free. please save our apple. won't let it be another Samsung in CN. Apple stock plummeted 10% today. So please help to buy as many as you can to save me and Warren Buffett //@Anonymous: Apple stock plummeted 10% today. Get Samsung Galaxy Watch much better than Apple watch. ahahahahh LOL HAHAHA sure.. //@anonymous: Get Samsung Galaxy Watch much better than Apple watch. Apple is poised for big trouble next. The tanking stock is a good indicator of turbulence ahead. It's a good thing you're not an investment adviser. Otherwise there would be trouble ahead for your clients. //@Anonymous: Apple is poised for big trouble next. The tanking stock is a good indicator of turbulence ahead. LOL @ h1b comments. Don't worry, I have now moved up to a green card after stealing your jobs on h1b in the last few years. 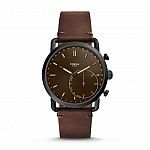 (Today Only) Macys has an extra 50% Off Select Watches and 70% Off Select Jewelry Flash Sale. Shipping is free with $75. Bloomingdales has One Day Sale: Save 65-70% on jewelry. Shipping is free for Loyallist (free to join) or on $150+. Bloomingdales has up to 50% off on select Pandora Jewelries. Shipping is free with Loyallist (free join), or free shipping with $150 purchase. anyone helps me understand why do you need sunglasses in deep water? BHPhotoVideo has Apple Watch Nike+ Series 3 42mm GPS + Cellular Smartwatch for $299. Shipping is free. 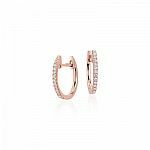 Blue Nile has an Extra $150 Off Build Your Own Earrings. Shipping is free. Swarovski is offering up to 50% Off Sale on Select Items. Shipping is free on orders over $75. Terrible quality. Bought a bracelet for my wife at the Amsterdam airport a few years ago and rusted all over after a year. Worse, another store recommended another stuff instead of service. I will never buy again. 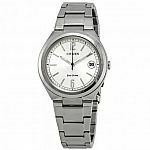 Nordstrom Rack has Michele Watches up to 60% off. Shipping is free with $100 purchase. Saks Fifth Avenue has Monica Vinader Fiji Mini Bar Bracelet for $440. Shipping is free with code "FREESHIP". 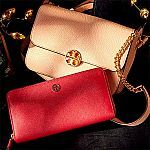 Rue La La has Tory Burch sale from $70. Shipping fee is $9.99, pay once and ship free for a month. 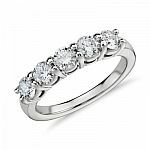 Blue Nile has $50 Off $150,$150 Off $500, $300 Off $1500+. Shipping is free. Take $50 off purchases of $150-$499, $150 off purchases of $500-$1,499, and $300 off purchases of $1,500 or more. 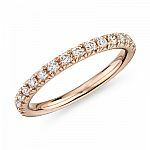 Blue Nile has an Extra 10% Off Sale Items. Shipping is free.